Dr. Luzmi Jutras earned her D.M.D. degree in 2010 from Tufts University School of Dental Medicine. She completed her postgraduate training in Endodontics and earned her Masters of Science and Oral Biology Degree at Harvard School of Dental Medicine in 2013. Dr. Jutras is a postdoctoral research fellow at Forsyth Institute. She completed and presented her research at the American Association of Endodontists annual conference in Washington, DC in 2014. Prior to coming to the United Stated, Dr. Jutras earned a D.M.D. degree and a Certificate in endodontics in her native country, Colombia, where she graduated with honors and was awarded a Thesis Laureate. Dr. Jutras is very creative, sensitive, warm, and friendly and is committed providing the best possible care to her patients. 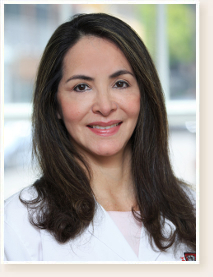 She loves taking care of her patients and enjoys listening to their questions and in discussing their concerns. She clearly explains the planned treatments so that her patients feel calm and relaxed and that they fully understand all aspects of the treatment. Dr. Jutras loves her profession is committed to excellence. Dr. Jutras is member of the American Association of Endodontists, the Masschussetts Endodontic Association, the American Dental Association and other associations. 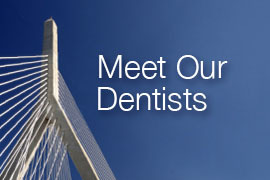 Dr. Jutras is also a part time clinical endodontic instructor at the Harvard School of Dental Medicine. We are committed to continuously improving access to our goods and services by individuals with disabilities. This website is currently being updated to enhance the usability and experience for persons with disabilities. If you are unable to use any aspect of this website because of a disability, please call 617.491.1403 and we will provide you with prompt personalized assistance.